During the first meeting of the 327th session of the College of William and Mary’s Student Assembly, senators elected new leadership representatives and allocated funding for an upcoming neurodiversity event on campus. 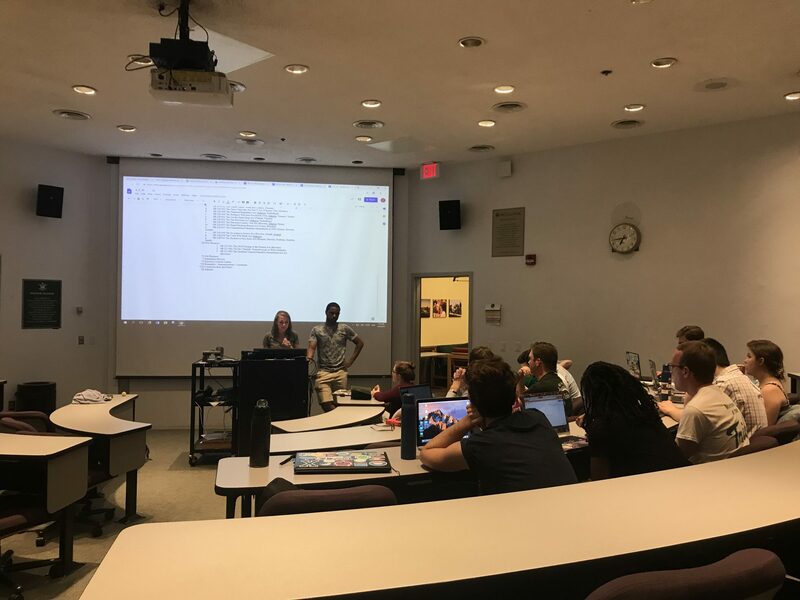 At the beginning of the meeting, senators nominated and voted on who would occupy three senatorial leadership positions of Senate Chair, secretary and historian. Sen. Anthony Joseph ’21 was elected to the position of Senate Chair. Sen. Will Wasson J.D. ’21 was chosen to serve as SA’s secretary and Sen. Patrick Salsburg ’21 will become SA’s new historian. The Senate also voted to allocate $600 for an upcoming neurodiversity event, which will feature speakers to discuss the role of neurodiversity in the workforce. Speakers for the event will include Undersecretary of Neurodiversity Alanna Van Valkenburgh ’20 as well as alumna Danielle Thomas ’14, who will provide insight on her experiences with neurodiversity in the workplace. At the end of the meeting, Sen. Kyle Vasquez ’21 spoke about a video he is currently producing which aims to de-stigmatize struggles with mental health at the College. This video, which will feature President Katherine Rowe as well as members of the study body, aims to address the problems created by stress culture, especially during finals season. Following Vasquez’s comments, newly inaugurated Sen. Derek Kernus ’14 M.B.A. ’20 referenced improving the College’s mental health situation as his primary desire to serve as a representative from the Raymond A. Mason School of Business. Kernus then elaborated that when he decided to obtain an M.B.A., he knew that the only place he wanted to earn it was at the College. This meant uprooting his family and selling their house in Pennsylvania in order to move to Williamsburg and become a full-time graduate student. President Kelsey Vita ’20 announced that her cabinet will include a new undersecretary position, the Undersecretary of Refugee and Asylee Affairs, who will work under the Secretary of Diversity. Vita and Vice President Ellie Thomas ’20 announced that they received over 90 applications for positions in their cabinet. Their administration aims to hold confirmation hearings for appointees in the last meeting of the session Tuesday, April 23.